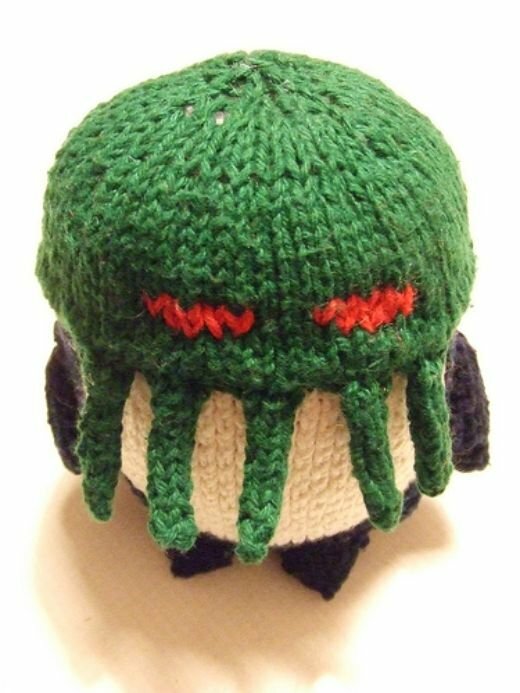 There hath he lain for ages and lay battening upon huge sea-worms in his sleep, until Ravelry member Carly Zimmerman created a pattern and shared it for all to knit and see; then once again by man and angels he shall be seen, in roaring he shall rise and on the surface die. Because if you’re not a Ravelry member the link will do you no good; it requires members to login before you can download the pattern. Maybe when the stars are right.